The Tshwane University of Technology (TUT) was closed until further notice on Thursday because of student protests, the institution said. “Due to student unrest, the management today resolved to close all the university’s campuses with immediate effect until further notice,” spokeswoman Willa de Ruyter said in a statement. Students were protesting against a shortfall in money from the National Student Financial Aid Scheme (NSFAS). De Ruyter said protests would not solve the problem and disadvantage students who had already registered. Protests started on Wednesday, forcing the closure of the six campuses. Student Representative Council (SRC) members met management in an attempt to resolve the issue. TUT central SRC president Mboniseni Dladla said they asked that students who owed the institution money, as a result of the NSFAS failing to pay, be allowed to register. “That commitment has been made by management but beyond that, the EMC [executive management council] has further contributed R10 million to students,” he said. De Ruyter confirmed the agreement, and said all financial blocks on students would be removed. She said the R10 million would come from TUT’s budget to help academically deserving and financially needy students. Earlier in the day, Dladla said a mass protest was being planned for Monday. He said they had given management until Friday to respond to all the issues raised in their memorandum. “We are talking of a mass protest of 15,000 students. 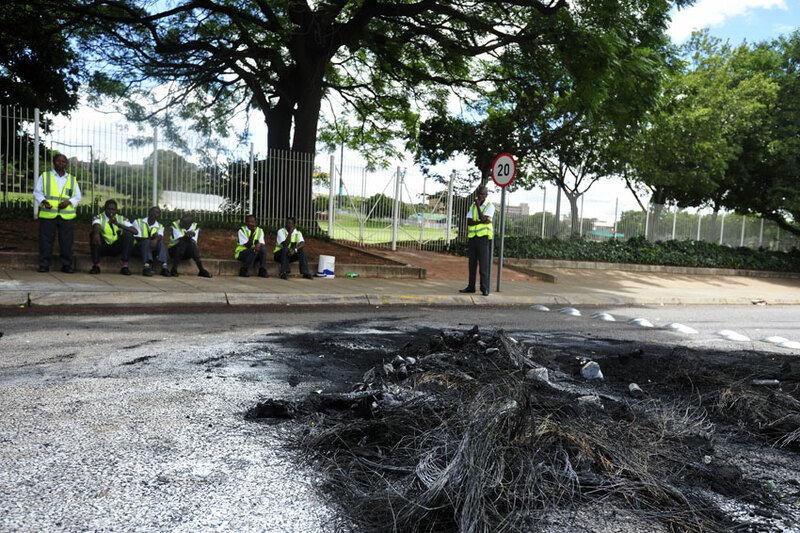 All campuses have agreed to meet on Monday, at the Pretoria West campus, to strike,” he said. “We have given them our memorandum, and if we don’t get a commitment by Friday, addressing all our issues, then we are going to protest,” he said. “[My] department has made available an additional amount of R1bn, sourced from the National Skills Fund, to all universities to cover the 2013 and 2014 shortfall,” he told reporters in Pretoria. Nzimande’s call followed a wave of protests on campuses around the country by students unhappy with the financial situation at tertiary institutions. The minister hoped meetings between his department and affected parties would solve the problem. “I also wish to strongly condemn any disruptions and destruction of property, and urge all to desist from this,” he said. The minister was concerned, especially by disruptions to lectures. His office would continue to monitor the situation, and help institutions, students, and parents. He called on universities to treat students with dignity and respect, and to provide the necessary support in dealing with registration and financial help. “We urge all stakeholders to constructively engage with each other to ensure a smooth registration process. We must not allow the challenges we face to negatively affect the registration process,” he said. Nzimande appealed to students to use strikes and demonstrations as a last resort.